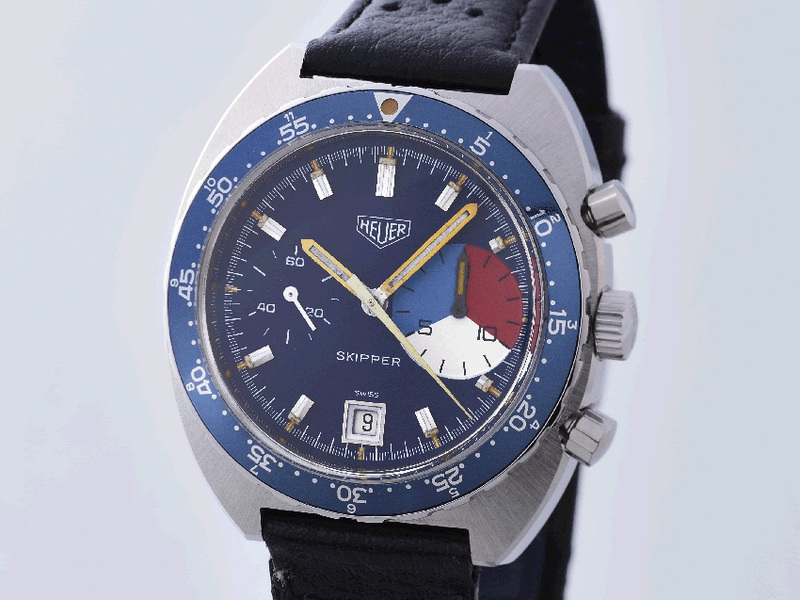 Heuer has nautical stopwatches and navigation watches in its product portfolio since the 1950ties. 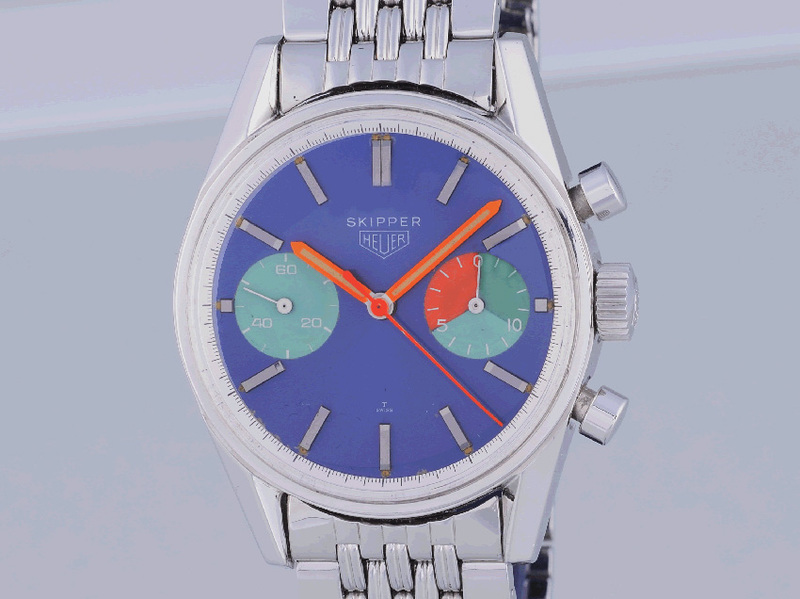 The name "Skipper" came from the first imortant person on board a boat holding the fate of the vessel in his hands. 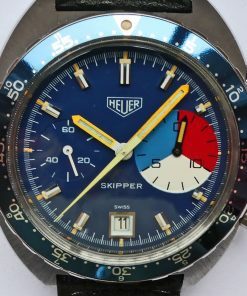 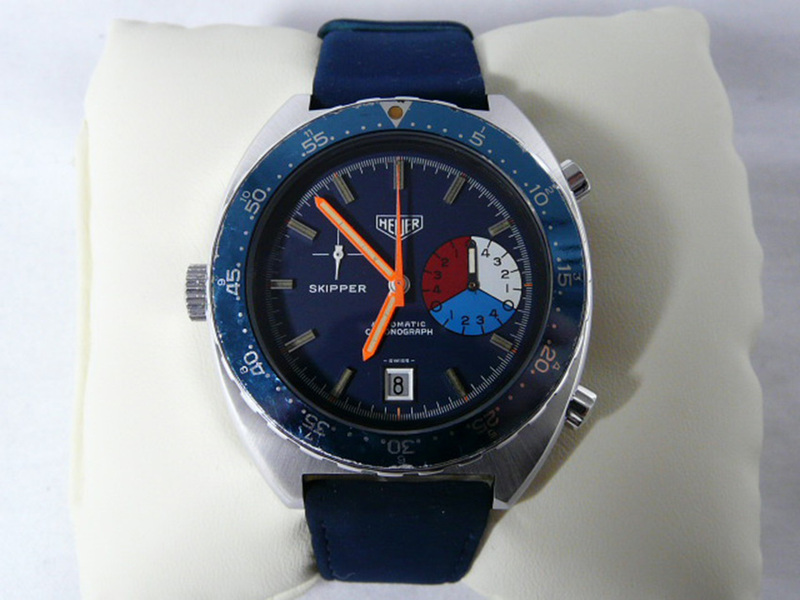 The references 7754, 7764, 15640, 1564 and 73464 are Heuer Skipper models specially developed and improved for boat racing and water sports. 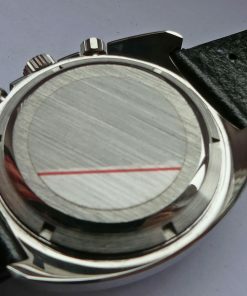 The production was in a low quantity what makes the watch very exclusive. 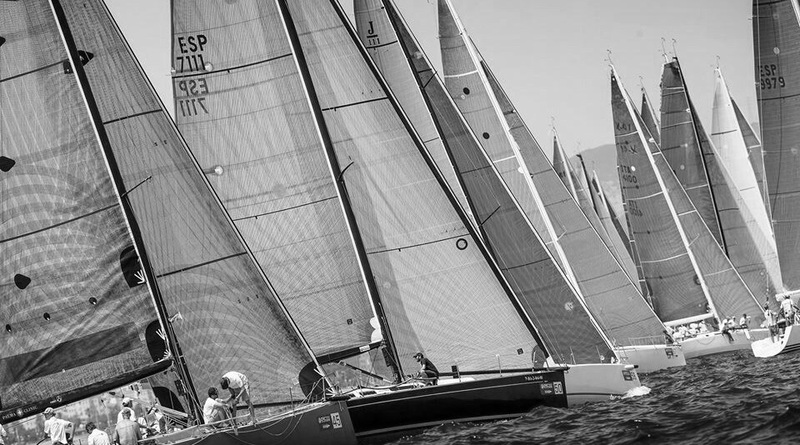 An important component of success at the start of a regatta is the timing and position in relation to competitors when crossing the starting line. 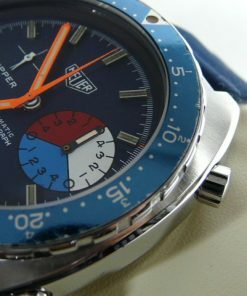 Heuer Skipper provides the capability with the red - white - blue 15 minutes subregister that shows the time until start. 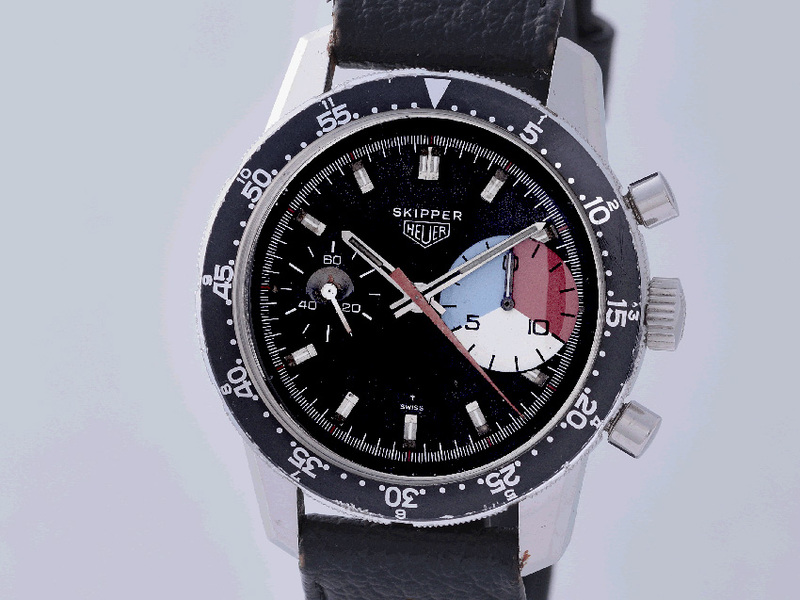 A minute countdown function eases legibility prior to the start of the race. 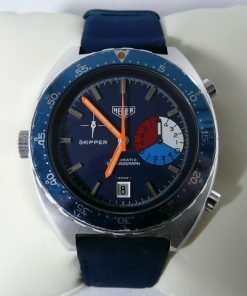 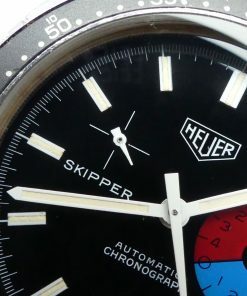 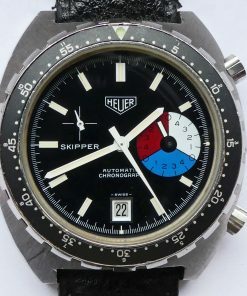 At the end of the 1960ties the first Heuer Skipper was launched in a Heuer Carrera case known as Heuer Skipperera. 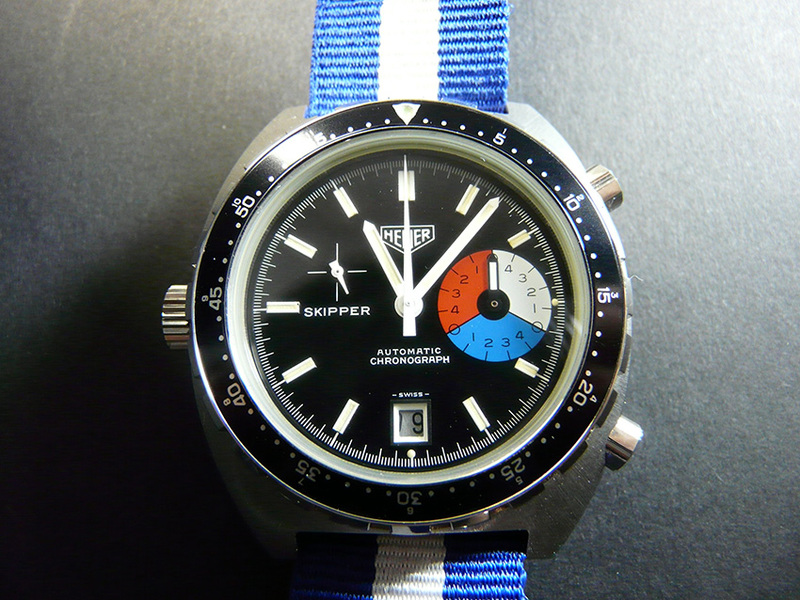 All following Skipper models are related to the Autavia line, sharing the same case design.